Thank you for making the choice to contact Executive Apparel. We are a leading manufacturer of Blazers and Apparel for Uniforms for business, schools and the hospitality industry. We are also experts in custom apparel design with over 80 years of experience in design, sourcing, project management and production. We sell uniforms and promotional apparel for groups through our family of professional distributors who work with our design and production teams to develop and deliver the best programs for buyers. We value our team of distributors and to ensure that their businesses remain strong we do not sell to end-users or non-accredited resellers. 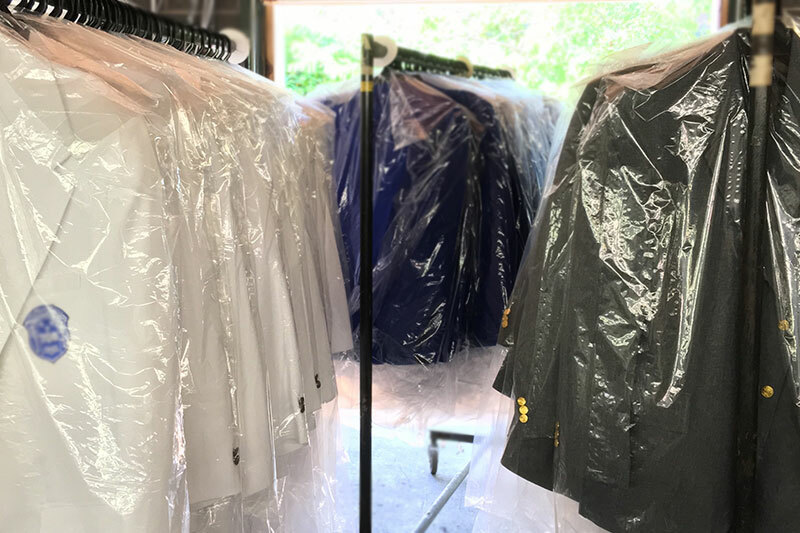 To buy wholesale apparel from Executive Apparel you must be a qualified distributor and provide a valid EIN number or resale certificate to apply for an account and receive wholesale pricing. To apply for a distributorship please choose the Become a Distributor option below. You can expedite your request by uploading your valid resale document and provide your valid EIN number in the space provided at the bottom of the form. If you would like to buy an apparel program for your staff or organization please choose the Find a Distributor option below and we will connect you with an Executive Apparel Distributor.